South Carter is a wooded viewless summit located on the Carter-Moriah Trail (AT). If you continue on to Middle Cater there are some decent views of the Presidential Range from an open ledge that the trail runs through for a short section. The hike to and from the summit is probably only interesting to peak-baggers looking to knock off one of the 48 - 4,000 footers. The two ways to reach the summit of Middle Cater are both off Route 16 from the Nineteen-Mile Brook Trailhead via Nineteen-Mile Brook, Cater Dome, and Carter-Moriah Trails or the Imp Trailhead, via The Imp, North Carter, and Carter-Moriah Trails. 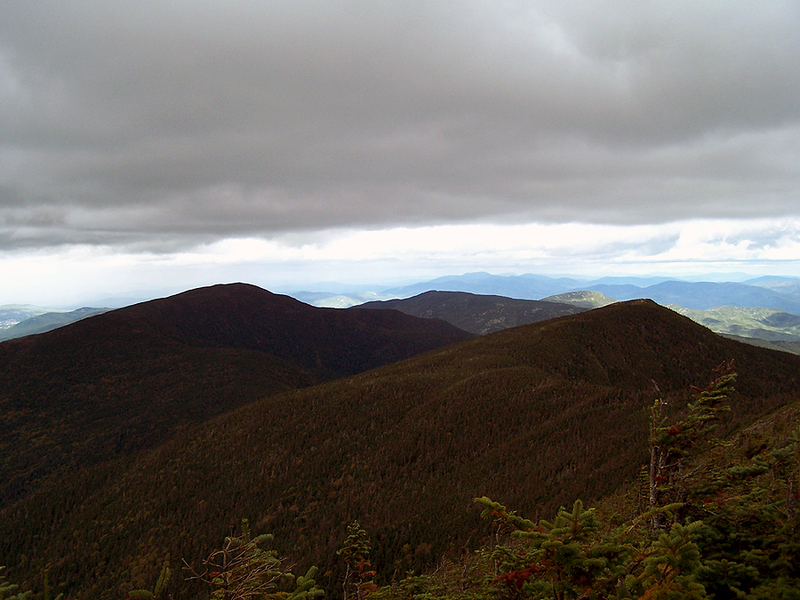 Nineteen-Mile Brook Trail / Carter Dome Trail / Carter-Moriah Trail: 4.6 miles, elevation gain of 3,000 feet. Nineteen Mile Brook Trail is well defined, has easy grades and good footing while running along the Nineteen-Mile Brook. The Carter Dome Trail has good footing and moderate grades but has about five long boring switchbacks! The Carter-Moriah Trail is part of the Appalachian Trail and is well blazed, easy to follow has ok footing with decent grades and a short steep section as you approach South Carter summit.